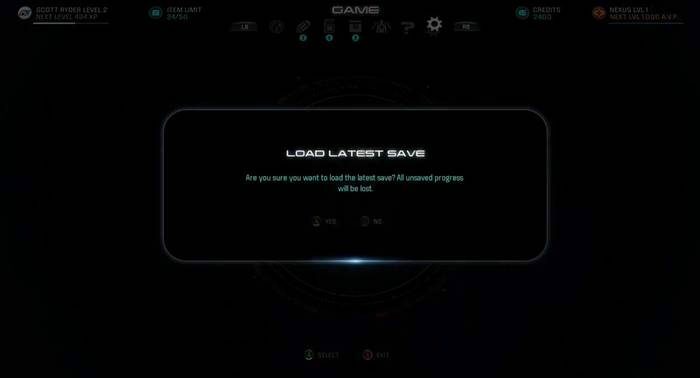 This page contains a guide on how to obtain unlimited weapons, armor and credits in Mass Effect Andromeda early in the game. As early as having finished the first Main Mission Planetside, you can use an exploit very early in the game to get unlimited weapons, armor and credits in a certain loot crate found in the Nexus. This allows you to have a ridiculous amount of rare equipment (including N7 gear) very early on in the game. If you don’ t like what you get, you can just sell them off for unlimited credits. 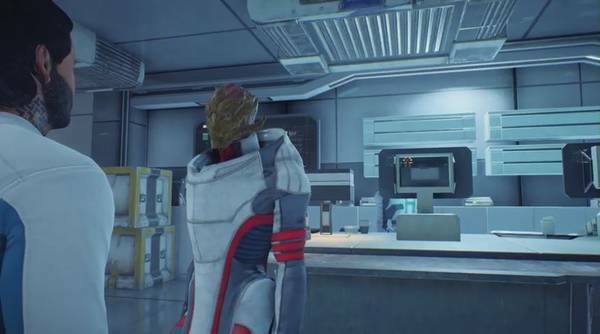 After arriving at the Nexus during the Main Mission Nexus Reunion, speak to Turian Mariette to activate the Side Mission First Murderer. Mariette is found in the same location on the Nexus as Tiran Kandros. Activating a Side Mission this early will allow you to save your game manually from here. After you’ve activated the Side Mission, open the map and head for the small section to the right of the arms merchant icon. The arms merchant is near a guard that is part of the First Murderer Side Mission that you activated by talking to Mariette. When you head to the small section, you’ll come up to a terminal labeled “Security Footage”. To the right of it is a big orange crate that allows you to restock its supply by a very simple exploit. Before doing anything, save your game (make sure you’ve activated the Side Quest). Open the crate and take any item you like but remember to leave at least one. After that, save your game again. When you reload the file, the crate will have been restocked with items again. You can keep the items you want and sell those that you don’t like, giving you unlimited credits. Note that this method also works for any other crate in the game. 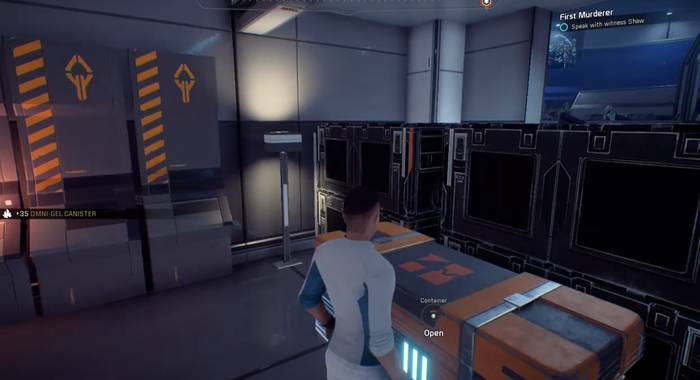 So when you’ve managed to progress through to the next Main Mission A Better Beginning, you might not be able to access the crate near the Security Footage again. This may be patched soon but until then, happy looting!